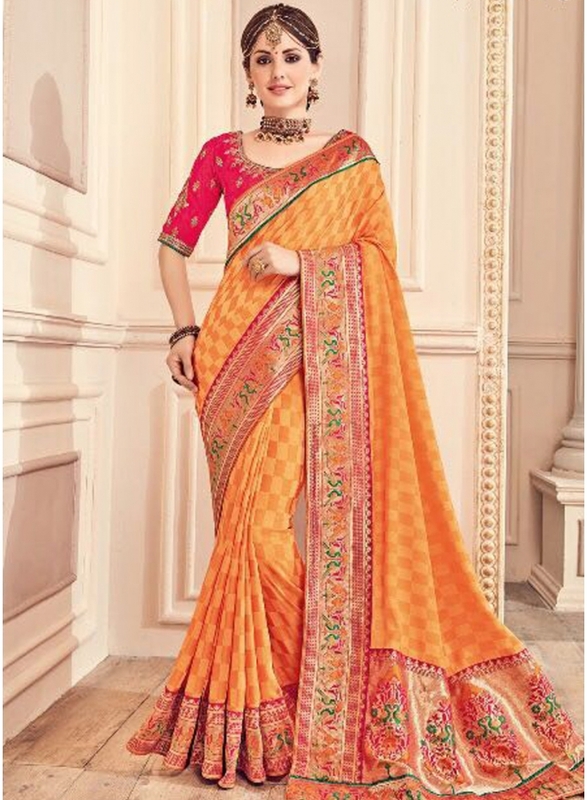 Mustard Embroidery Thread Lace Border Work Designer Party Wear Saree. Buy online shopping sarees at - Hyderabad. Mustard Embroidery Thread Lace Border Work Designer Party Wear Saree. This beautiful saree is showing amazing heavy embroidery done with stone work and patch border lace and Thread Work. Saree comes with matching designer blouse of brocade fabric with fancy work. Wedding wear saree is designed with fancy Viscose fabric.